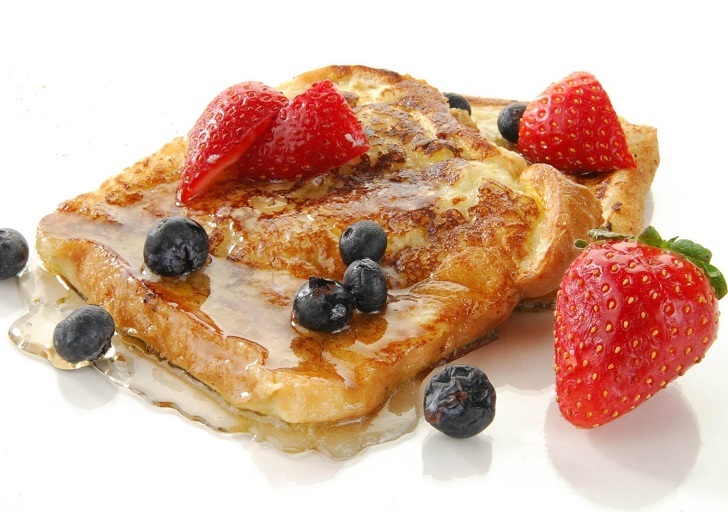 French Toast is perfect for warming you up on these cold mornings! ⏩Add the milk, eggs, vanilla, and sugar to a wide shallow bowl and thoroughly whisk. ⏩Soak the bread slices in this mixture for 2 minutes on each side. ⏩Heat a frying pan with cooking oil and cook the bread for approx. 2 to 3 minutes on each side over medium heat until golden. ⏩Serve the French toast warm with some maple syrup and fruit!